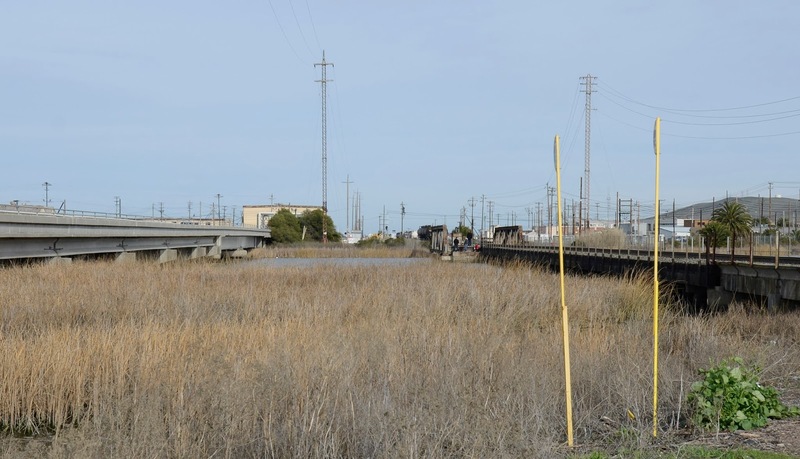 Another movable railroad bridge in Contra Costa County carries trains across Pacheco Slough in Martinez. It's a long timber trestle bridge with pony truss swing spans at the east end. This bridge was built in 1901 by the Southern Pacific Railroad. On the north side of the railroad bridge is another swing bridge built in 1946 to carry Waterfront Road. This Pacheco Slough Bridge (28C0006) was improved in 1965 with precast girder approach spans and steel girder swing spans. 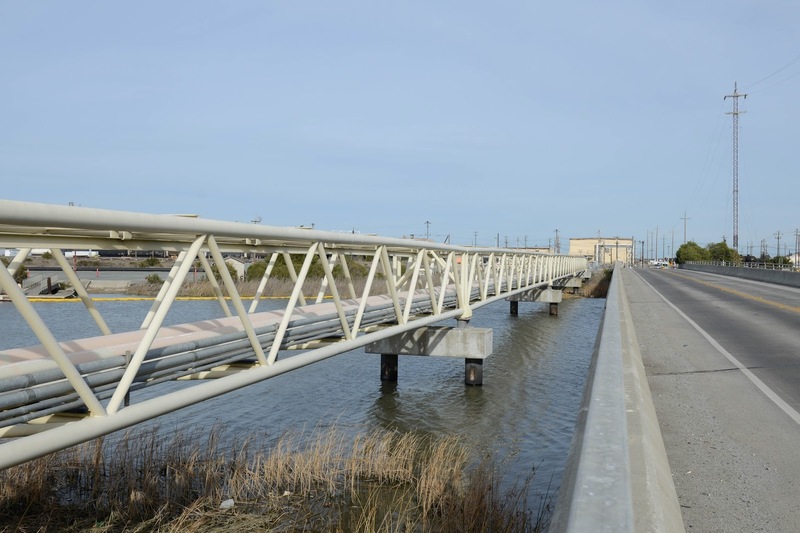 There is also a utility truss bridge just north of the roadway bridge that carries pipelines to a nearby refinery (see photo below). Contra Costa County, California Bridges: Pacheco Slough Bridges in Martinez by Mark Yashinsky is licensed under a Creative Commons Attribution-NonCommercial-NoDerivatives 4.0 International License.